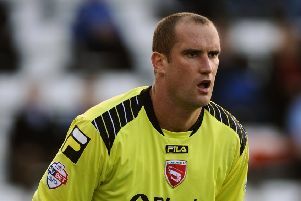 Morecambe boss Jim Bentley should be able to welcome back Liam Mandeville for the Shrimps’ game against Bury tomorrow. The on-loan Doncaster Rovers man had picked up a knock in training which would have ruled him out of last Saturday’s game at Oldham Athletic. However, he is back in training ahead of tomorrow’s game, providing something of a boost to Bentley’s attacking options. Watch as Bentley discusses Mandeveille’s availability and provides an update on the club’s other injured players.